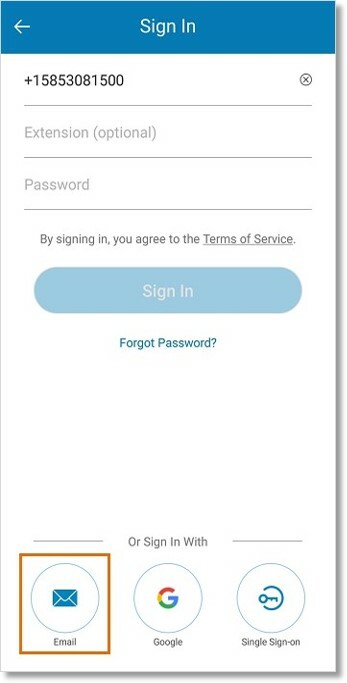 The AT&T Office@Hand Mobile App allows you to log in using your email credentials. 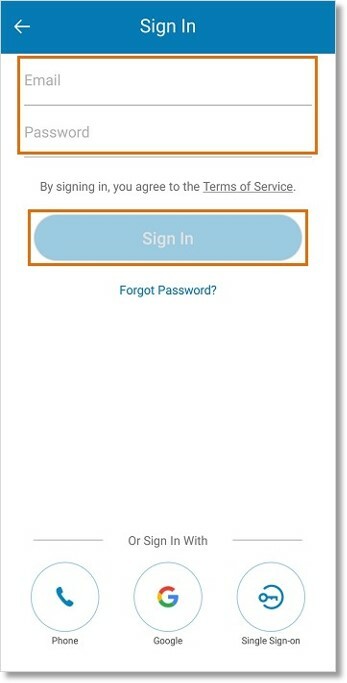 You can log in to your AT&T Office@Hand Mobile App with your email. In order to use this feature, you need to enable it first. Note: See Login – Setup Email to Login to your AT&T Office@Hand Account for more information. Enter your Email and Password, then tap Sign In.